The problem with me is that I am not good at taking pictures. These things do look different in real life. 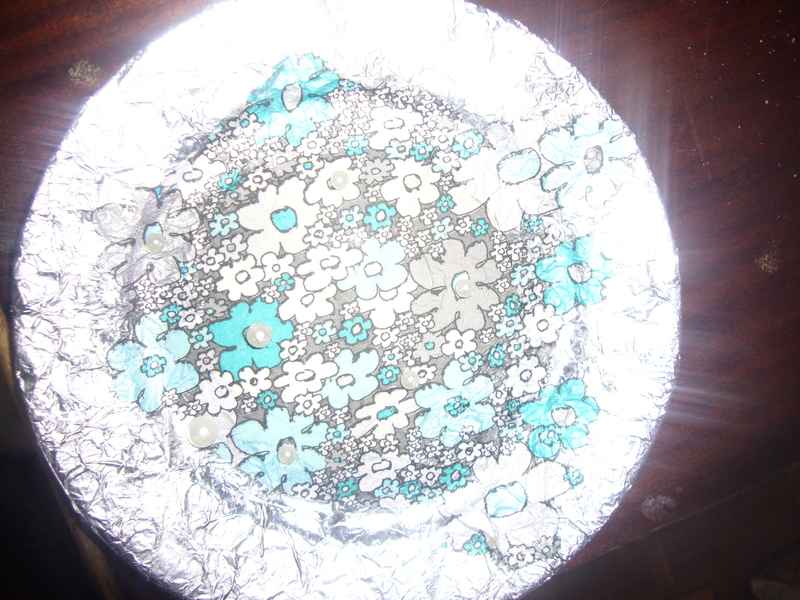 I had an old and cracked plate, a nice flower napkin, some glue and some foil. 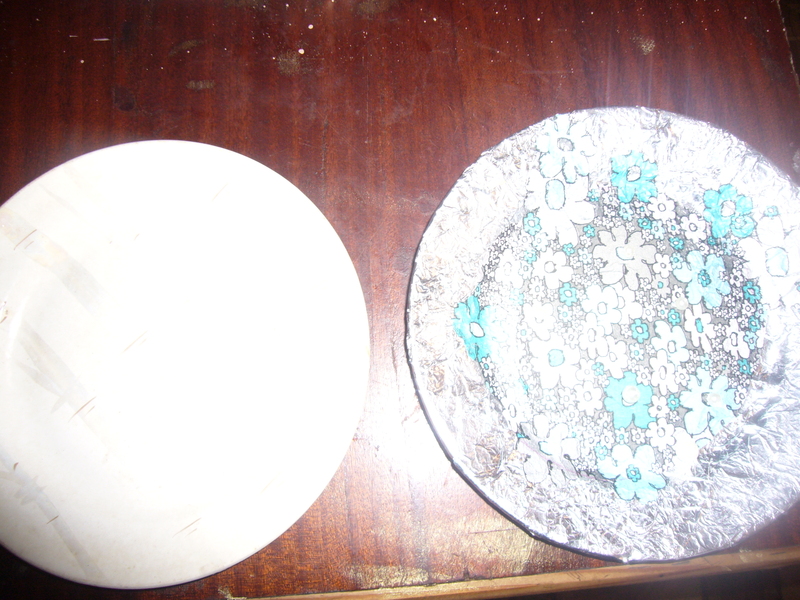 I used PVA adhesive glue for this plate. First I cleaned the plate well and tried to remove all the oil from it. You may use spirit to do that. Then I sort of crumpled the foil, tore it to pieces and started to glue them one by one to the outer circle of the plate. Then I cut out the flower pattern out of napkin and glued it to the middle of the plate and partially over the foil parts. I also glued several bids just to make it look nicer. It took me about 10 min to decorate that plate with the decoupage technique, I used. This entry was posted in Uncategorized and tagged crafts, creativity, decoupage, decoupage how to, decoupage tips, handmade home decor, home decor, how to decoupage, personal experience, plate decoupage. Bookmark the permalink. Hi Elena. Thanks for stopping by my blog and giving me the chance to discover yours too! I love the plate idea, I have several old damaged plates which I will now be giving the decoupaging treatment. Glad you liked it. I loved some of the things on your blog and pinned them, too for my inspiration! Thats a great idea, love it! Hi Elena…enjoyed your blog…have a suggestion re: your “The problem with me is that I am not good at taking pictures. These things do look different in real life”…don’t use flash, it will wash out picture…I either take them outside or use a spot light type of set up with the clamp on utility lights…works great.